Make a step and repeat logo backdrop or custom back wall with the super wide 3000mm graphic. 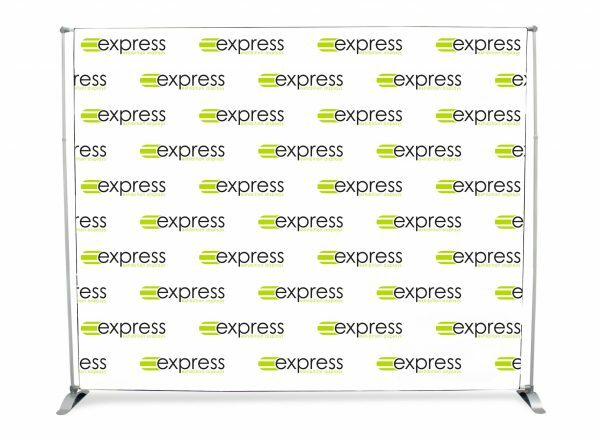 The graphic is available in PVC or fabric, and is supported securely with the freestanding frame. The frame also features telescopic poles to display your banner backdrop in various heights to suit your graphic size. As standard, the 3 metre wide graphic is suitable for the max height and width of the frame. Looking for a backdrop without a frame? See our custom backdrop only range. Want a smaller graphic for your back wall? That’s no problem, just give us a call to find out more. Unload contents from carry bag. Place two support feet approximately 3 metres apart. Twist insert one support pole into each support foot. Add the push fit poles until clicked into place. Assemble the two horizontal support poles. Extend the horizontal support poles fully and securely tighten. Feed the horizontal poles through the top part of the graphic. 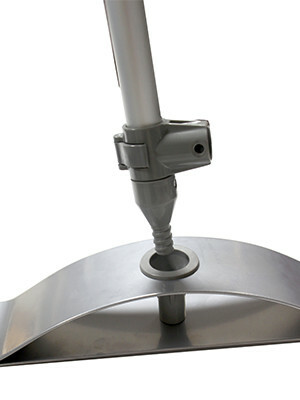 Loosen and extend the vertical support poles to appropriate height – now tighten securely. Repeat step 7 and 8 for the bottom part of the graphic.